Back in 2003, the Chicago Cubs were a mere five outs away from making their first World Series appearance since 1945. It was the eighth inning of Game 6 of the National League Championship Series. The Cubs held a 3-2 series lead and second-year phenom Mark Prior, who compiled an 18-6 record during the regular season, was on the mound with a 3-0 lead. Luis Castillo came to the plate and then this happened. The Cubs would give up eight runs in the inning and would lose Game 6, 8-3. The Cubs would go on to lose Game 7 as well, 9-6, and hopes of a World Series championship were once again put on hold…but the pressure was on. The Cubs entered the 2004 season with extremely high hopes. Not content with just an NLCS appearance, the franchise took steps to take the experience gained from the previous season and improve upon it. The core of the team was back, including sluggers Sammy Sosa and Aramis Ramirez, and the Cubs also added a very reliable hitter that played great defense in first baseman Derrek Lee. They also brought back future Hall of Famer Greg Maddux to provide some veteran leadership to the pitching staff and would later add All-Star shortstop Nomar Garciaparra to the mix in a mid-season trade. The pieces seemed to be in place to make another run towards the World Series. Remember this? “The Cubs Will Win the World Series”. Damn you and your cover jinx, Sports Illustrated. Well, you know what happened. Mark Prior would miss the first two months of the season and would never be the same pitcher he was in 2003. Yes, the Cubs would play well during the season, compiling an 89-73 record, but that was only good enough for third in the National League Central. The St. Louis Cardinals would win 105 games that season and go on to play the Boston Red Sox in the World Series. As for the Cubs, they held a 1.5-game lead in the NL Wild Card race as late as September 25. However, following a blown save from LaTroy Hawkins against the Mets that day (shocking, I know), the Cubs would lose six of their final eight games and finish three games behind the Houston Astros for the playoff berth. Sammy Sosa would leave the Cubs’ final game early and never wore the blue pinstripes again. 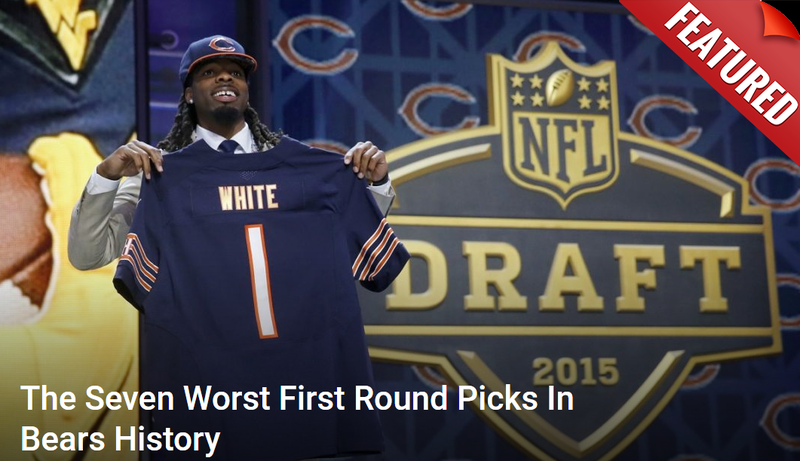 It was all downhill from there. The Boston Red Sox would end their own World Series drought that year in the aforementioned series with St. Louis, their first since 1918. The following year, the Cubs only won 79 games and were forced to watch the crosstown White Sox win their first World Series since 1917. To make matters worse, the Cubs finished 30 games below the .500 mark in 2006, a season that saw their biggest rival, the St. Louis Cardinals, win the title. That was a tough three years for the Cubs and their fans to sit through and while they did win division titles in 2007 and 2008, let’s be honest, those teams never felt like World Series contenders, did they? Fast forward to 2015. After six years of rebuilding, changes in the front office, new ownership and a revolving door of managers, the Cubs found that magic that disappeared after the 2003 season. Joe Maddon was brought to Chicago to lead a special group of players that Theo Epstein and Jed Hoyer had assembled and struck gold. Oh, let’s not forget about a little pitching as well. This is what Cubs fans had been waiting for. After years of last-place finishes and promises that change was coming, it was finally here. Kris Bryant, Addison Russell, Kyle Schwarber and Jake Arrieta were only a few of the pieces that helped the North Siders to the third-best record in baseball at 97-65. Arrieta threw a gem as the Cubs defeated the Pittsburgh Pirates in the NL Wild Card game, 4-0, and would go on to meet the St. Louis Cardinals in the National League Division Series, a series which the Cubs would win, 3-1. The NLDS win over the rival Cardinals seemed to be a turning point in franchise history. St. Louis has long been the dominant team in the division, but with the Cubs able to knock them out, a trip to the World Series seemed inevitable. The 2015 Chicago Cubs were a team of destiny and nothing could stop them. Then this happened. Well, not content with simply an NLCS appearance, the Cubs have brought in a good hitter who plays great defense in Jason Heyward and added a veteran pitcher to the rotation in John Lackey. They also brought in utility man Ben Zobrist to add to the already stacked lineup that includes Bryant, Russell, Schwarber and perennial All-Star Anthony Rizzo. Hopes are extremely high in 2016 and many are already picking the Cubs as the favorites to win the World Series. Sound familiar? Sports Illustrated hasn’t put them on the cover (yet), but has ranked them as the top team in their preseason power rankings. As the Cubs prepare to start spring training this Friday, everyone knows the pressure is on, especially on some of the younger players, but Theo Epstein doesn’t seem to be overly concerned about it. “We’re aware of sort of the new expectations this year and how a team might respond. But we’re not concerned about it, because we really trust the makeup of these players. “I just think in general our young players are really mature, really grounded and are in it for the right reasons. (They) have experienced a lot already in their young careers, and that will help them avoid the quote-unquote ‘sophomore slump’ and help them adjust to playing with some greater expectations on their shoulders. “Our priorities are clear. I don’t have any worry whatsoever that having accomplished so much (last) year that our players – and our young players – will show up complacent (or) take things for granted, thinking they’re going to sort of walk their way through the regular season and then sprint towards the postseason. Young superstar Kyle Schwarber, who will likely see a lot more time in the outfield this season and has been working hard to improve, seems to agree. All of the Cubs young players will have a lot of added pressure this season, but veteran pitcher and two-time World Series champion Jon Lester, who signed with Chicago prior to last season, sees how special this group of guys is and is confident that they’ll be ready to go for the 2016 season. Another factor that could take the pressure off of the players is the fact that they have a manager in Joe Maddon who has absolutely zero problem with getting in front of the camera, putting on a show and sticking up for his guys, an issue hitting coach John Mallee addressed. 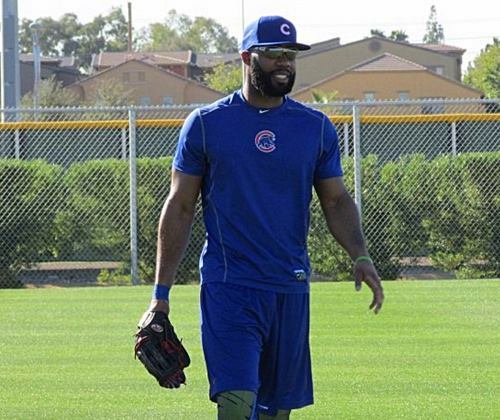 Speaking of pressure, there may not be a member of this Chicago Cubs team that has as much on him as Jason Heyward. The 26-year-old outfielder, who showed up to spring training a week early, turned down less money to stay with the St. Louis Cardinals to come to Chicago and knows the eyes are on him. But he also knows what the Cubs are trying to do. That’s what remains to be seen…if the Cubs can follow through with it. There’s a plethora of hope, hype and hoopla around the 2016 Chicago Cubs, but there’s a lot of baseball to be played between now and October. Expectations are high and they should be. The Cubs have a deep roster on all fronts and have already proven that they can win at a high level. They’ve added pieces that were perhaps missing from last year’s playoff run, but there’s certainly no guarantee that will bring a World Series championship to the North Side. Just ask that 2004 Cubs team. What does look like a guarantee is that these 2016 Chicago Cubs know there’s a lot of pressure on them…and they’re ready to face it head-on.